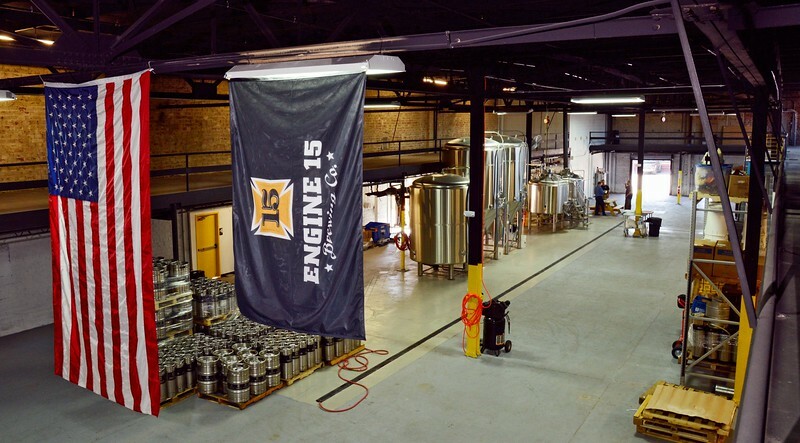 Mike Field of Modern Cities and Transform Jax highlights Engine 15 Brewing Company's plans to bring a unique urban beer garden to Myrtle Avenue and ponders if the area is poised to become a Southeastern version of Pittsburgh’s Strip District or Detroit’s Eastern Market. 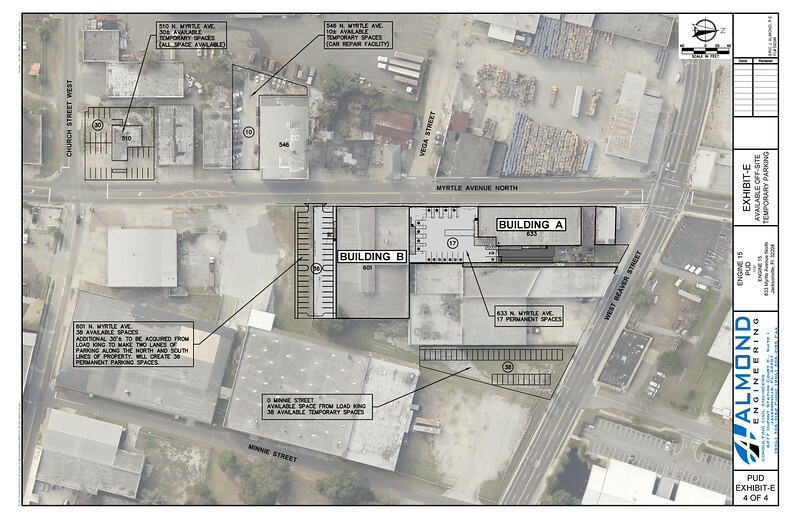 Engine 15 intends to construct an informal tap room within Building A. This space would be located in a small distinct location in the building's northern section. It would include an outside seating area with a small outdoor recreation component (i.e. bocce ball court, large chess court, horse shoe court, etc.) for the enjoyment of their guests and clients. Ideally, the tap room ideally would be a “fair weather” establishment open during periods of enjoyable weather and off peak hours for the manufacturing and distribution operations of the current building. 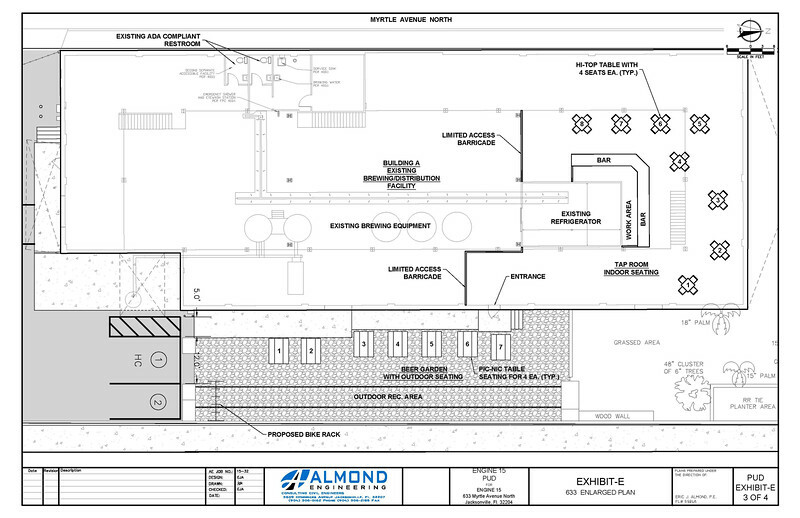 It is not anticipated that the tap room would be open year round; rather the tap room would be seasonal, weather permitting, open only several days out of the week. The use of Building B is only to provide a common communal space for special events that occur only a few times during the year. 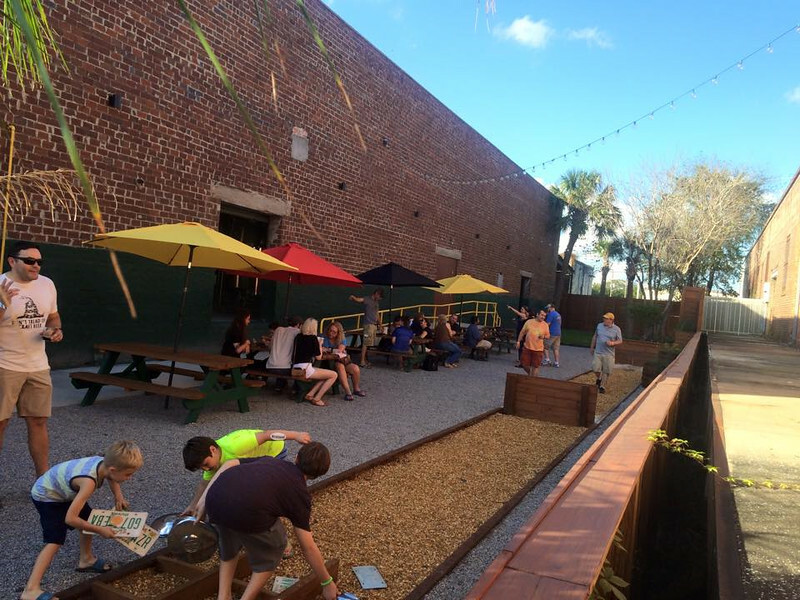 Next Page: Could Engine 15’s Expansion Create A Robust Working Food District In Jacksonville?